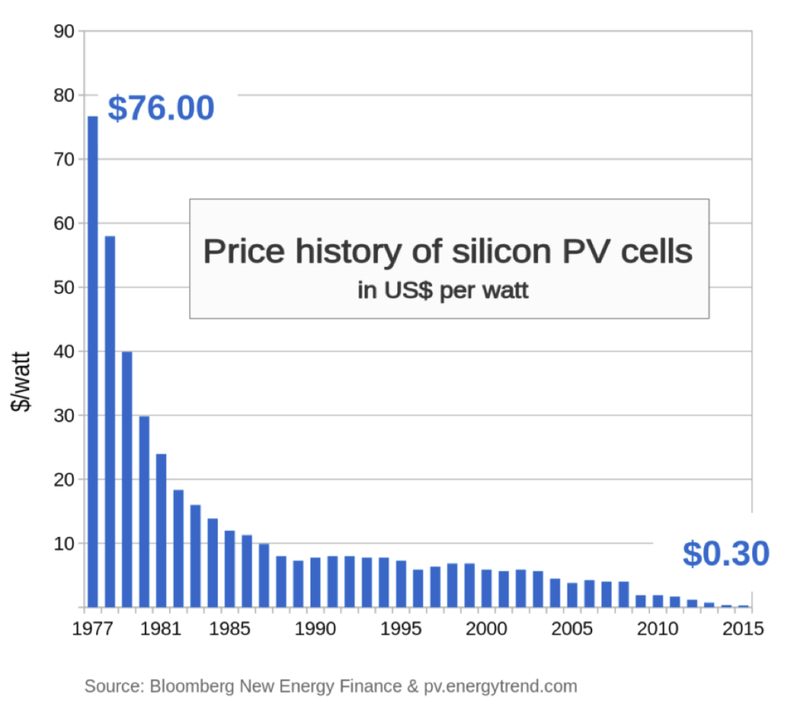 The decrease of the price of solar cells: a long-term trend. 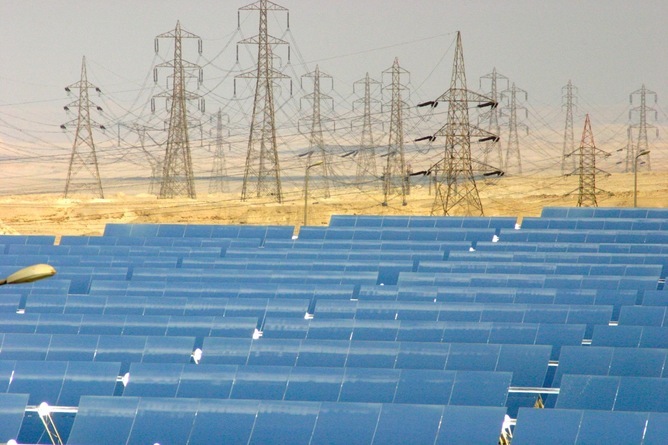 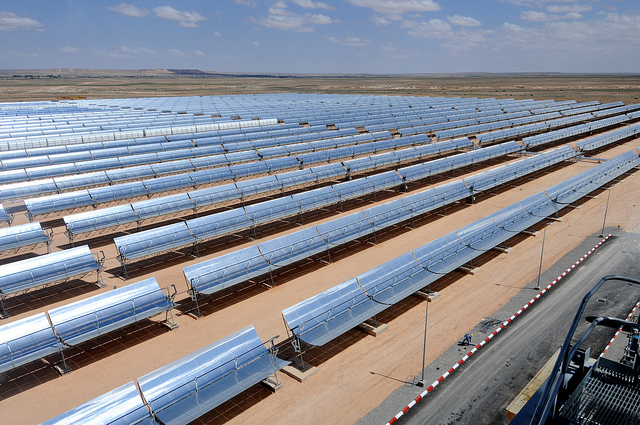 Featured image: Ain Beni Mathar Integrated Combined Cycle Thermo-Solar Power Plant, Morocco. 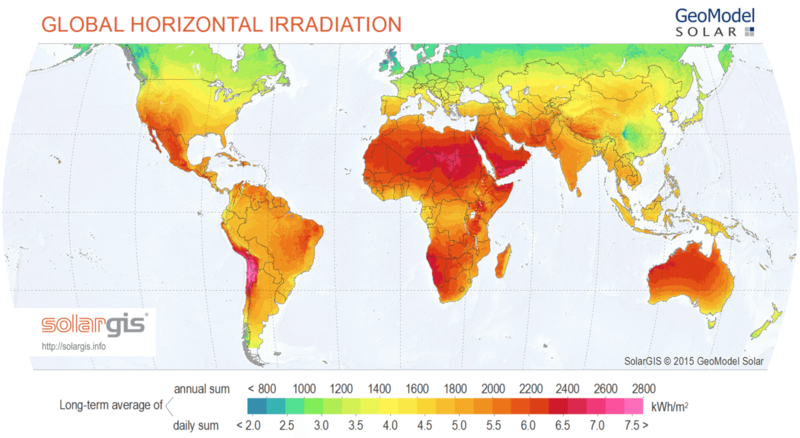 Flickr CC, Dana Smillie / World Bank.